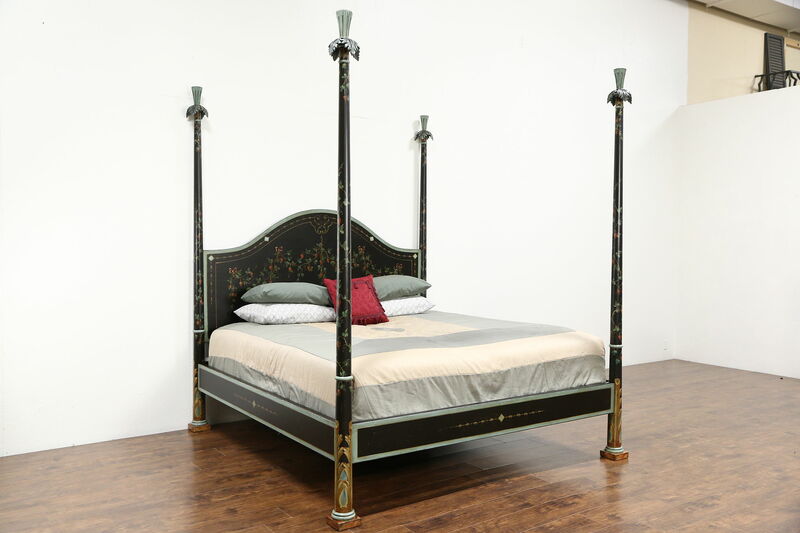 A lovely king size bed was artistically hand painted and has carved palm frond finials atop shaped columns. A brass signature plate reads "Patina, Made in Italy, MCMXCV," or 1995. The original finish is subtly distressed for an antique look on this custom designer furniture. Finials are detachable and columns unbolt for easier moving. Demonstrator mattress and spring units in photos are 18" thick together. Measurements are 7' 1" wide, 8' 2" tall and 87" long.